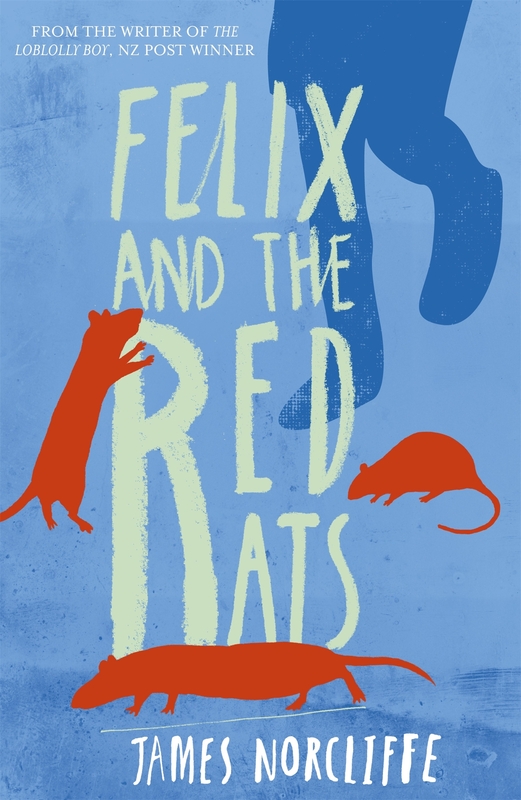 A finalist in the New Zealand Post Children’s Book Awards, James Norcliffe’s Felix and the Red Rats is a fun mix of fantasy and adventure. When David’s uncle comes to visit he sets off a bizarre series of events. Things become complicated when the pet rats turn bright red. David senses that somehow the red rats are connected to the story he is reading, and he becomes more convinced when the colour red becomes contagious. As an author, you must have a lot of ideas floating around. How did you decide to write this book? I had been toying with the idea of writing a book with a dual narrative. It wasn’t conscious, but I think I may have been influenced by the Japanese writer Murakami whom I’d been reading a lot of and who uses the technique. It then came to me that a variation on the idea might be a book within a book and, even better, that the book within the book could have some bearing on the outer story. This quite excited my and because I love the intricacy of plot I found the process tremendous fun. I hit quite early upon the idea of alternating chapters and the book(s) began to flow quite organically once I set off. There were challenges, of course. I’m not terribly good at multi-tasking and I’d charged myself not only with managing two stories but also with trying to end each chapter of each book with a sufficiently exciting moment to keep the readers interested in both stories at the same time. I wasn’t sure I’d managed to pull it off until other people read the manuscript and found the concept worked. I was hugely relieved. Tell us a bit about the journey from manuscript to published work. What was the biggest challenge you faced in publishing this book? 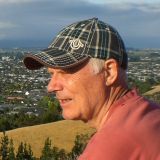 I wrote the book in 2012 during my time as Children’s Writer in Residence at the Otago University College of Education. The residency allowed me to live at the Robert Lord Cottage in Titan Street, a twenty minute or so walk from the college. This allowed me to be completely focused on the stories and for a number of weeks I lived, dreamed, and rehearsed the story. I don’t take copious notes but tend to let my stories play out in my head. The red rats idea came in a eureka moment as I was walking across the Alhambra rugby field on my way to the college. I also played out conversations on the walk and when I’d get to the office at the college I’d hurriedly write them down before they disappeared. I imagine I was a danger to traffic. I’m not sure there was any especial challenge in publishing the book, just the usual nail-biting wait between the time it’s packed off to the publisher and the time you get the response. Luckily, Barbara Larson, my publishing editor lives in Dunedin, luckier the wait was not very long, and luckiest of all, Barbara liked the book very much. Did you tailor this book to a particular audience – or did you find it found its own audience as it was written? I don’t consciously write for children. I guess if I did there would be a danger of ‘writing down’ and I like to think my readers are bright and don’t want to be condescended to. If I’m honest, I think I’m trying to write the sort of book I would have enjoyed reading as a young person: funny in places, scary in places, with a touch of the fantastic and a satisfying conclusion. Can you recommend any books that you love, that inspired or informed your book in any way? I don’t think any book consciously inspired or informed Felix and the Red Rats. Actually, I’m proud of the fact that it is so original. Subconsciously perhaps, Haruki Murakami (as mentioned earlier) was an influence, as particularly in his 1Q84 he uses the dual narrative technique with alternating chapters following the stories of two protagonists until they come together. However, Felix is completely different in every other possible way. A book I was reading at the time of writing Felix was A.S.Byatt’s wonderful and dark The Children’s Book and this put me in mind of the Edwardian E Nesbit who was the model for the central figure (who was a children’s writer). Nesbit was famous of course for The Railway Children but many of her other books were fantasies. Nesbit’s books are must-reads for any lover of fantasy. One of the pleasures of having my time at the Robert Lord cottage – six months in a kind of bach – was the time it afforded for reading for pleasure and Dunedin is a city blessed with bookshops. I haunted them and found many treasures. There are too many books to list but I did find the time to follow the work of writers who were interesting me: Roberto Bolano, Murakami and Orhun Pamuk. I found too a whole set of Chesterton’s Father Brown stories and these were fun. Sadly while I was down south, Margaret Mahy died and I took the bitter-sweet opportunity to re-read a number of Margaret’s books. What are your favourite things to do, when you aren’t reading or writing, and why? Probably spending time in the garden. I’m passionate about plants and we are lucky to have a large garden at Church Bay which allows me to grow all manner of trees from interesting fruit trees to precious natives. It also affords me a large lawn which needs mowing regularly and I don’t mind this at all: it is my gym. Of course, spending time with family and friends. And crossword puzzles. aQueen Ellyria just wants her sick triplet sons to live, each ruling over a third of the kingdom as their dying father wished. When she finds herself trapped in a deadly bargain with a Dark Spirit, she recruits a band of young mages to help – but a terrible curse takes over. The Dark Spirit befriends her enemies and seduces her friends, and Ellyria soon finds that famine, pestilence, betrayal and bereavement are all in its arsenal. Can Ellyria unite the elvish and mortal sides of her family and in so doing, save the kingdom? I’m sort of in between! When a story decides to invade my mind, it gives me two things only – a character and a situation. The character, strangely, comes with his or her CV, diary and birth certificate. In other words, I know a lot about that character right from the start – his or her name, age, family background, occupation or social class, and circumstances at the start of the novel. I ask the character what s/he wants, and usually I find out straight away or within a day or two. So I have my MC, a beginning and an end. The rest I have pick up on the fly. Yes, they do take over to a very large degree, but sometimes I have to be strict with them or they will bring along all their friends and relations. I often end up with far too many characters even when I don’t give the main ones free license to drag in their brothers or long-lost cousins! I write best in the mornings, but if I’m on a roll I can keep going all day and into the night. Yet just as often, I have to make myself write or at least draft the next scene. I would love to tour Europe. Yes indeed! My stories invariably have historic settings in an imaginary world that looks very much like medieval Europe, although I do have a yen for England in the times from Elizabeth I to Charles II, too. Having grown up in Australia I feel somewhat deprived of my historical roots and I think my writing reflects that. Occasionally, and my choice of listening invariably reflects the two historical periods mentioned above. Composers from Dowland to Purcell are pretty standard listening, together with early music such as Gregorian chant. What previous works have you released? The Dagger of Dresnia is a medieval fantasy, complete with elves and the odd dragon. It’s about a widowed queen who has triplet sons, and in trying to ensure they have peaceful, prosperous reigns she is tricked into making a rash promise to a Dark Spirit. Mayhem ensues, but so does romance and adventure. I made a point of learning as much as I could by visiting blogs by writers and editors and scouring publishers’ websites. I would impress on beginning authors that this is essential – learn as much about the industry as you can. I was already a professional non-fiction editor, but fiction editing is different world! I would have started earlier if I could. Starting a novelist’s career after the normal age of retirement is a tad eccentric. However, I was well into my fifties before inspiration for fiction came to visit, even though I’ve been a voracious reader of fantasy ever since I was a child. In a nutshell: history, other writers, my own life, and the lives of others. Learn as much as you can by going to classes and workshops, especially in your chosen genre. And never stop reading! Old, eccentric and intelligent. Every day, I work on becoming more compassionate. It’s the one quality, I think, that might save the world, and it’s in very short supply. Possibly Mary Stewart’s The Crystal Cave, or Juliet Marillier’s Wildwood Dancing, but I love too many authors to have a fixed favourite. Being an Aussie with papers to prove it I’ll say Vegemite, but to be honest I don’t think there’s much to choose between them! Have you got a blurb of your book? Yup – here it is straight from the back cover: Queen Ellyria just wants her sick triplet sons to live, each ruling over a third of the kingdom as their dying father wished. When she finds herself trapped in a deadly bargain with a Dark Spirit, she recruits a band of young mages to help – but a terrible curse takes over. 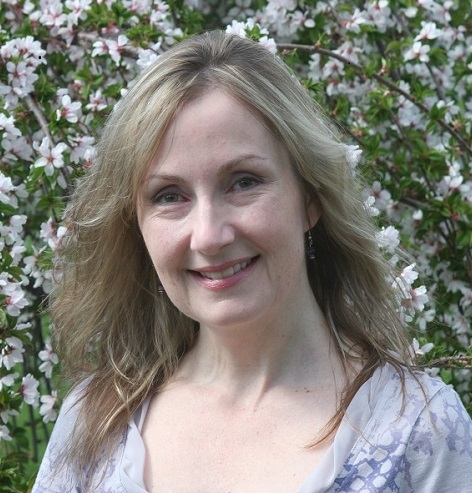 Satima Flavell is a freelance writer, editor and reviewer. 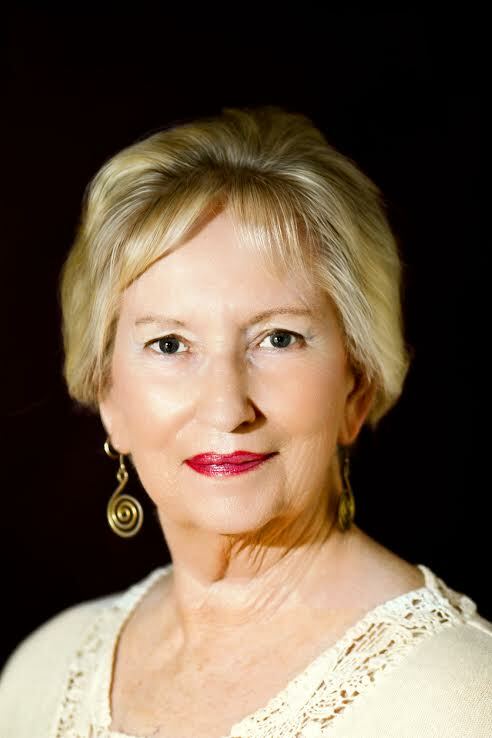 She has already published poems and short stories as well as many feature articles and reviews – her work as an arts journalist has appeared in The Australian, The West Australian, Music Maker, Dance Australia and many other journals. 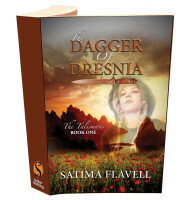 Her first novel, The Dagger of Dresnia, book one of The Talismans Trilogy, has just been released by Melbourne’s Satalyte Publishing.